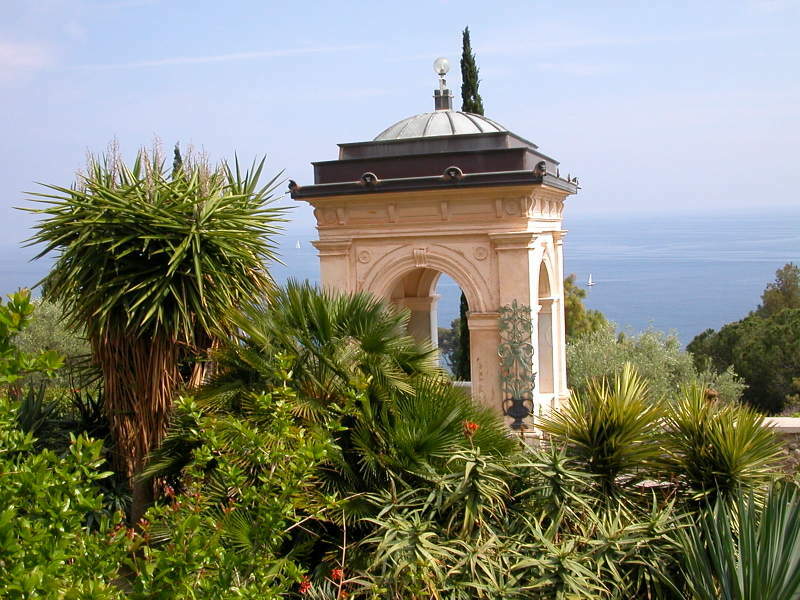 Hanbury Gardens sits on 18 hectares situated on a secluded headland in La Mortola, Italy, just between Ventimiglia and the border of the French Rivieria. 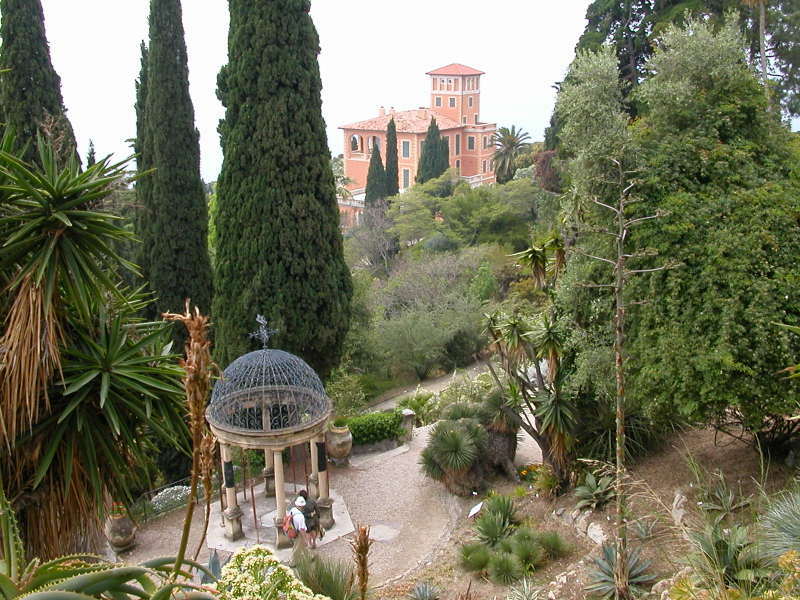 The property was purchased by Sir Thomas Hanbury in 1867, who developed it into what has become one of Italy’s most important botanical gardens. It is now managed by Genova University, who is in the process of restoring it to the beauty of its glory days before the damage caused by both World War I & World War II. 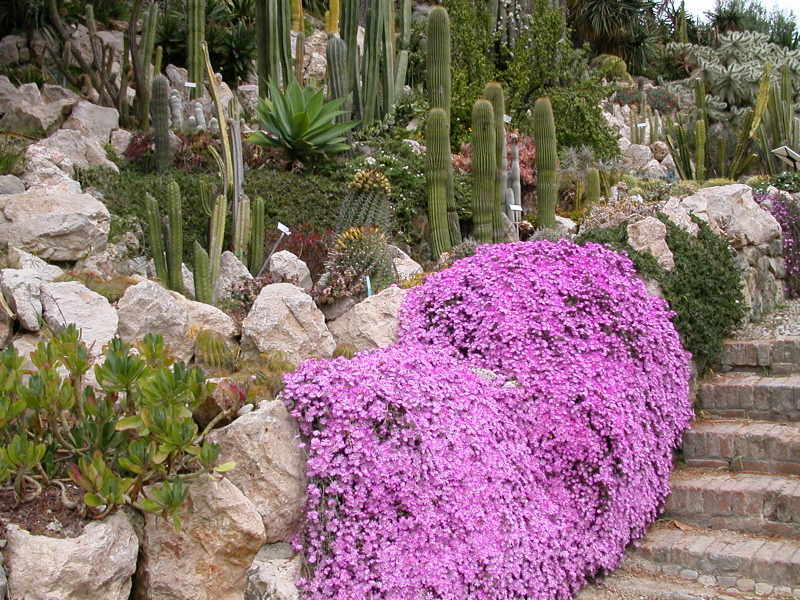 Half of the garden is made up of Mediterranean vegetation native to the region, while the other half is made up of exotic vegetation which has been brought over from all around the world. The whole garden is laid out to show how these plants would grow in their natural habitats. After hiking up and down, and all around the garden, and comparing it to our last visit two years ago, Maggie & Dennis, Christiane & Michel, and Dave & I found a secluded spot to relax and enjoy our pique-nique.